I think I’m just going to make my way through Bleach London’s colour products, although I am a bit apprehensive about ever putting purple dye on my head again in case it turns green and stains like the last one I used. This was the aftermath of dying my hair dark purple! I really need to get my proper camera out more looking at these photos, but you can see how the colour turned out on my hair, which is naturally blonde with highlights. It hasn’t had a wash yet, the first wash will be tomorrow morning so keep an eye on my Instagram if you’re interested in how it fades. 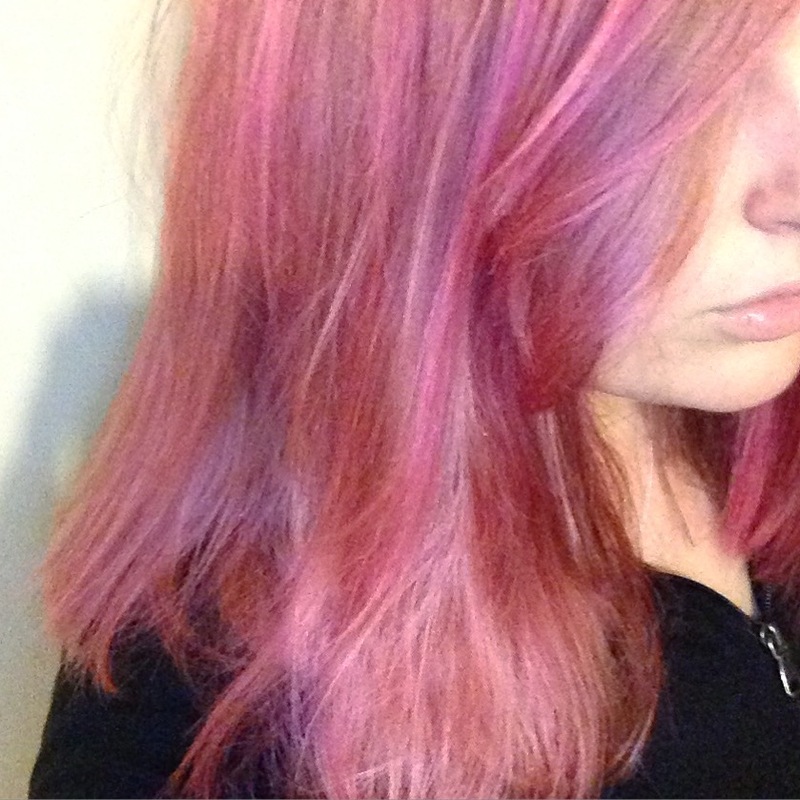 I’m hoping it will wash out quite quickly and leave a nice pink/peach tone to my hair. 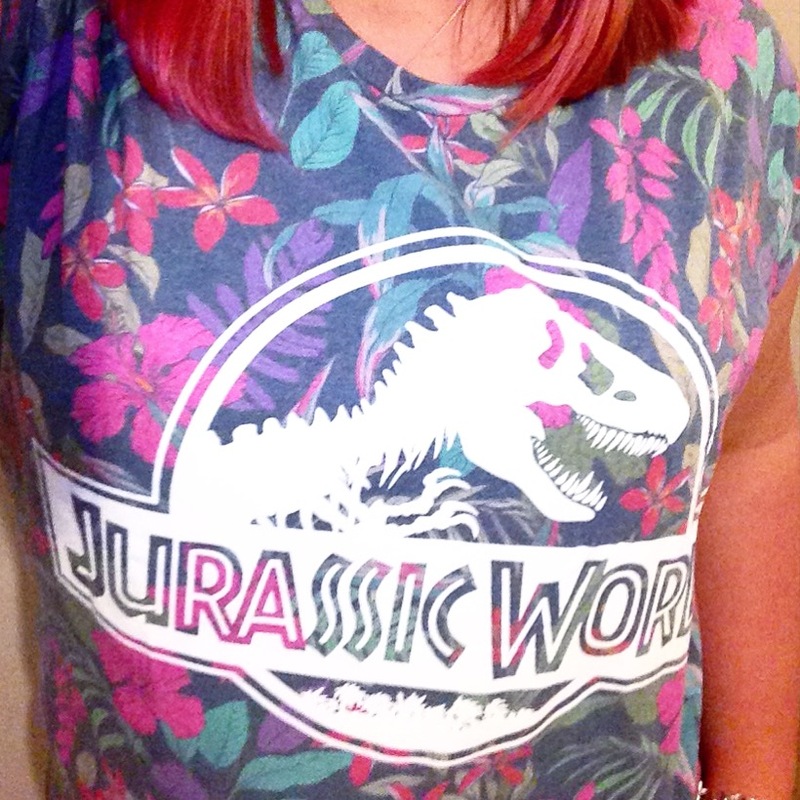 You can’t really tell this is dip dye in this picture, really I just wanted to show my Jurassic World shirt off. Which is from Primark by the way. 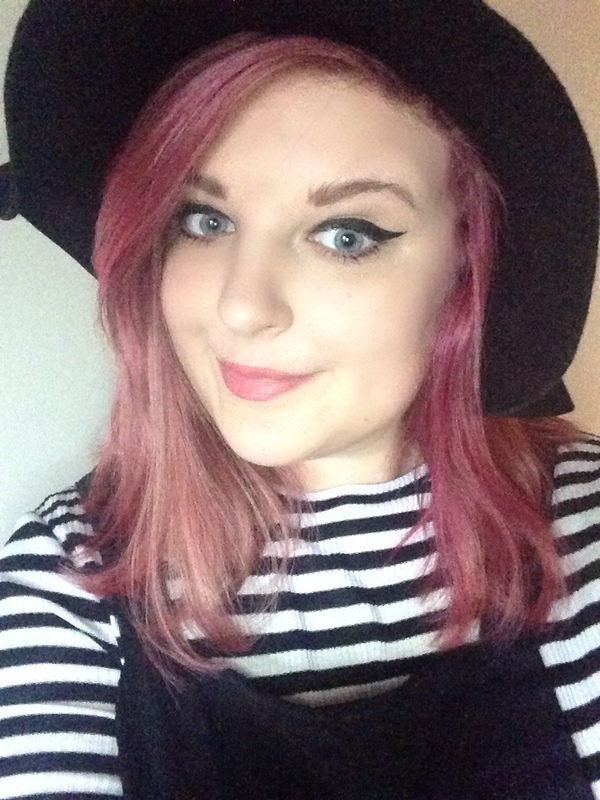 I’ve written a review with some tips before on using Bleach London but I thought I’d detail them again below, just in case you were wondering how best to apply the dye! Again, I have to say that this is a good product, it smells great for hair dye and works how a normal semi permanent dye should, rub in, werk then rinse off. To deal with the awkward bottle design this time I poured a load of the dye into a bowl with some conditioner, which made it go further and helped soften my hair once dry. I mentioned in my last Bleach London review that I would avoid putting the dye on towel dried hair. I always put it on dry hair, it helps you work out where you haven’t reached yet and is easier to section. 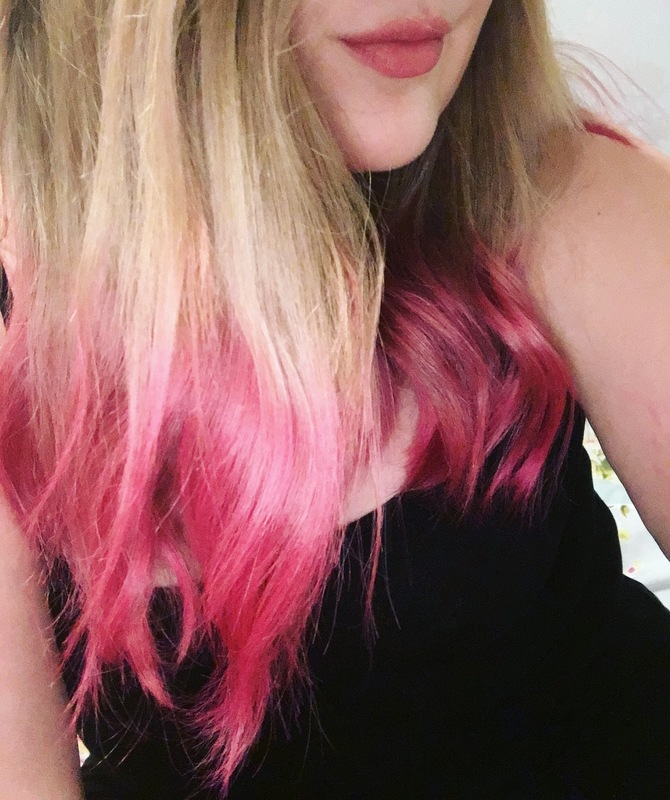 I did some pink dip dye using the same product to test it a couple of weeks ago and I’ve managed to drip it on the carpet! This time I popped down a load of bin liners to save it from anymore stains. Although the dye washes out of towels really easily so I imagine it shouldn’t be too hard to get out, if not it doesn’t show up too bad anyway. Let me know if you give this brand a go and how it turns out! 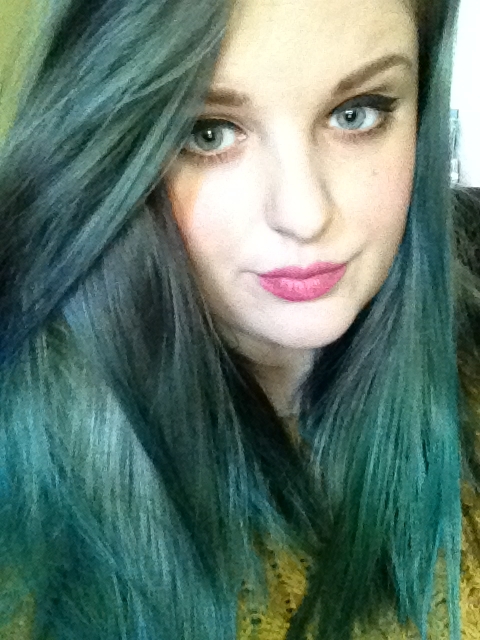 I wish I saw more people dying their hair wacky colours!